I believe it was my youngest sister who started calling me "Nanny" as a nickname when she was two. I have no idea why, but it stuck. My family even started calling me Nanny. So when I became an aunt for the first time, only Aunt Nanny would do for my name. The hardest part of being an aunt is being so far away. I live 5 hours from majority of my nieces and nephews, and don't get to see them as often as I'd like. I am usually so busy! I admittedly feel guilty for not being able to see them every day. I want to be a part of their lives. I want them to love me as much as I love them. An easy solution is to shower them with presents. But I don't want to do that. When I think about my favorite childhood memories, it was never about the gifts. It was the time they spent with me. That's what I remember and love. And I want to do the same with my nephews and nieces. It's those little moments, like playing trucks for the thousandth time that day, sharing a snack and smiling at each other without saying a word, asking them questions about their interests, when they "whisper" me a secret, or laughing together over something silly that I cherish. I feel my most beautiful then, even though you can tell I'm not wearing makeup in those pictures! ;) I want to be a good role model for them and in order to do that, something I do is remind myself to take the time to take care of myself. Hair maintenance is a part of that. 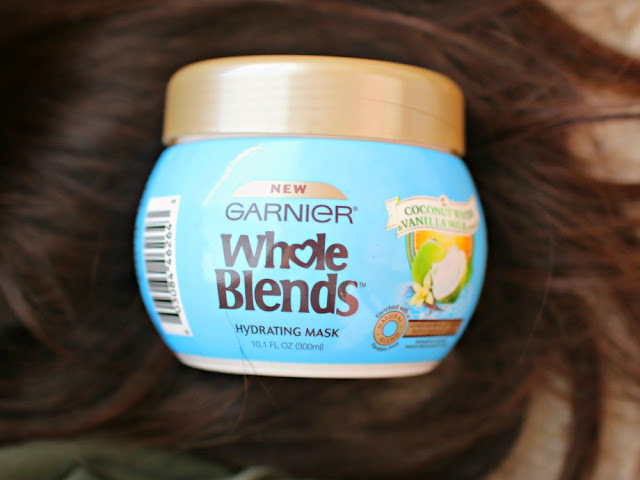 I've recently fallen in love with the new Garnier® Whole Blends™ line. Whole Blends™ is a feel-good haircare brand that makes gentle, nourishing formula and gives the ability to deliver wholesome loving care blended for naturally beautiful hair. Whole Blends™ promises to provide haircare that really cares: Good for your hair and the world we live in. 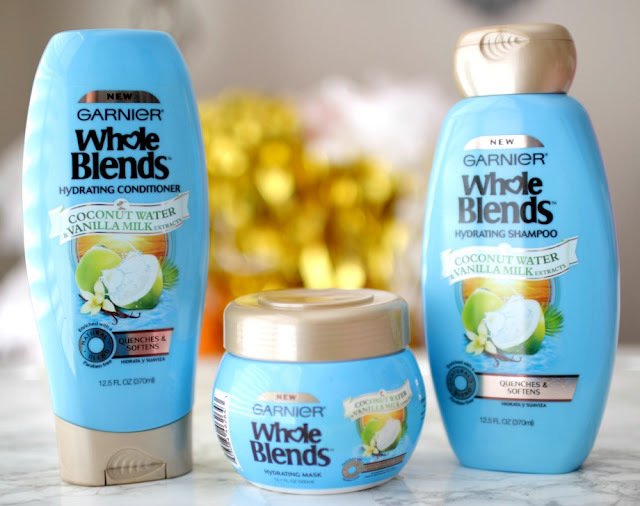 They have 6 formulas (just pick the one your hair needs), and today I'm sharing the Garnier® Whole Blends™ Hydrating line with Coconut Water & Vanilla Milk Extracts. If you know me at all, you know I must try anything that has the word coconut in the name! This line is all about hydrating, something my dry hair definitely needs. Benefits: Quenches and softens dehydrated hair. I shampoo and condition, and then about once a week I use the Hydrating Mask. I love to use this when I am cleaning the house--I'll put some on, put my hair in a towel, and then rinse out after. Take me to the beach already!!! Have you tried this line before? What is your beautiful moment? Tell me all about it in the comments for a chance to win a $ 100 Visa Gift Card. Be sure to visit the Garnier® brand page on BlogHer.com where you can read other bloggers’ posts! PS: Happy Mother's Day Weekend! One of my sisters lives pretty far away as well, and she is really busy. 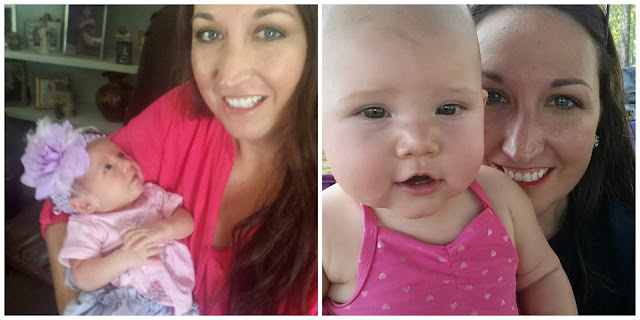 To have her a big part in my children daily life, something that is very important to both her and myself, we do FaceTime t least twice a week, so the children are accustomed to her voice and face and there is no anxiety when they meet again in person. I have been using these products and I am really impressed with them- except I use the ones for curly hair (I've tried the honey scented ones, too!). I love the leave in conditioner that they offer. And, I agree with you- I'd rather leave my kids with memories than lots of gifts (plus, we have enough 'stuff' already!!). Your nieces and nephews are so precious! I absolutely love the name Stella, and I think you are so sweet to love and care for them as much as you do. Have a fabulous weekend Elle! Your niece and nephews are adorable! Thanks for sharing this new line. The smell sounds amazing! How precious are your nieces and nephews! I'm sure it's so difficult being far away from them. I will have to check out this hydrating mask, my hair is so dry, it could use some moisture! Awwww :) This post makes me smile. I have four nieces and two nephews also!!! My range from almost 16 (OMG!!!) to six. I hope that each of them remember a special for funny moment with me like you talked about. This line sounds fabulous. I am all about products that are a little bit better for you with less of the bad chemicals. I will have to check it out! ah aunt nanny - so cute! loving these photos too. i like a company that is paraben free and is conscious about sustainability. a product i can get on board with! This confirms my belief that you are a sweet, loving person. Someone kids would adore. Spending real time with children is very important to them and to us. Great post. Oh, I have never seen this line before bit it sounds fabulous! My beautiful moment is...animal rescue. When I'm out with nature, my Hunter's covered in mud, working to care for and/or rescue animals. I never feel more beautiful - or at peace. Ahh they are so sweet! It is hard when you don't live close to your nieces and nephews. I love the different look of these products, I haven't heard of it until recently but will definitely keep an eye out when I'm in the stores. I've seen that product on Amazon & almost bought it the other day. Isn't being an Aunt the best? I have the green apple and green tea one, and it's my favourite drug store shampoo. They are so light and refreshing when you wash your hair, it makes my hair feel amazing. Your moments are cute and heart warming !! I live far away from my nieces and nephews too, and it is really hard! I haven't tried this new Garnier line, even though I've seen it everywhere. I haven't tried this line. My beautiful moments are getting hugs from my kids. I have tried Garnier hair shampoo and conditioner, but not the Whole Blends line. I want to try them out. My beautiful moments are when my kids get up and I hug them and we make breakfast together! Nieces and nephews are definitely the best! And how funny how you got the name Aunt Nanny! We live about the same distance away from our nieces and nephew, and we always try to make the most out of our time together by playing with them as much as we can! I love the pictures of your nieces and nephews above. The first part of your post made me almost tear up! lol I love my nephews soo much and it has been amazing to see them grow. Time goes by so fast! This new Garnier line sounds really nice! I love coconut scents. Such a wonderful post and your photos are beautiful! Also, I wrote a post about my "ultimate subscription box" today inspired by your recent post! I am new to this line of hair products. I would love to try them. My beautiful moment is rocking and cuddling with my Granddaughter. I had not heard of this line, but I am interested now! I love your nieces and nephews call you Aunt Nanny! I agree that memories are the best gift. Happy Mother's Day! I know you are very special to your nieces and nephews! I love that it is made of recycled plastic! Sounds like great products! How blessed are your nieces and nephews to have you?! I love my nieces and nephews so much too! And I also live far away from them. SO i know how it feels. I have actually tried somethings from this line and loved them. I think the one I used was the Honey one. Anyways they are deff nice! Being an aunt is so fulfilling to me, especially since I don't and probably won't have any kids of my own. When they give me a drawing or a hug or light up wen they see me it is so beautiful. I am lucky to live in the same city now, but when I lived away it was hard, I feel for you. I have never tried or heard of this line,. but it sounds right up my alley as i have dry hair, love all natural stuff and love recycling! Thanks for the review! I have never tried it before but would love to! Garnier keeps coming out with some amazing products...I will have to check this line out. I have the same guilt struggle with not getting to spend enough time with family especially the little ones. Hope you have a wonderful weekend! I haven't tried these products before, but they sound wonderful. My beautiful moment is when my sons give me hugs or make special gifts or cards for me. Thanks so much. I haven't tried this line yet. My beautiful moment is working in the garden with kids and watching all veggies grow. I haven't try this link but sure will do so. thanks for sharing. my beautiful moment is when I share music with my daughter. we play piano together. This line of haircare is new to me! My beautiful moments are my daughter and I cooking together! I got a few samples of the Whole Blends line and I really like it. My beautiful moments are enjoying what's in front me each day. and you have so many of them! so cute! I even envy a little, I wish I had more than just two. I have not tried any of these products yet. My beautiful moments are time spent with my little great-nieces. I haven't tried Garnier® Whole Blends™ products yet. My beautiful moment is spending time in nature with my family, usually something like a hike in the park. Oh my goodness, they are precious and you are such a great Aunt! Good luck to everyone entering the competition! I love being an aunt too. It's seriously amazing and o love my niece and nephew so much. I also feel guilty for not seeing them more but when I do get to see them, I'm so happy to spend time with them. I haven't tried this hair care line yet, but I've been meaning too!! I actually almost picked up a leave in spray from it but decided to try a different one instead. I'm glad you did this post, because I actually totally forgot which brand it was that I wanted the leave in from! I didn't like the one I opted for instead so it was bothering me because I couldn't remember lol! Watching my kids enjoy the same silly things I used to. 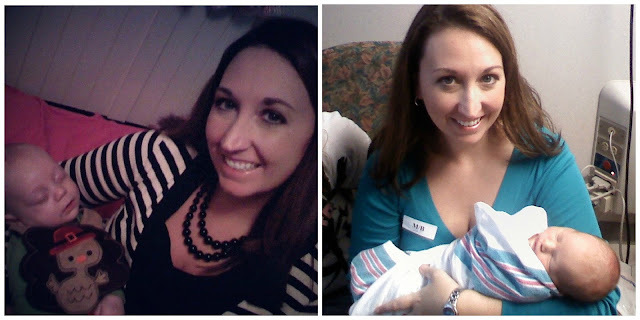 Congrasts on being an Auntie!!! YAHOOOOOOOOOO!!!!!! AMAZING! I haven't tried this line but it looks so nourishing. My hair could use some love. My only nephew lives in Ohio while I'm in Georgia. Luckily he's visiting my husband and me in a few weeks! (With his parents, of course). My beautiful moments are snuggling with my husband, watching TV with my dad, and attempting to garden. I haven't tried this line before. My beautiful moment is when my son hugs me and tells me I am pretty out of the blue. I have not tried that line before. My beautiful moment is when I spend time with the entire family doing something we all enjoy. My beautiful moment is spending time with family. My beautiful moment is spending time with my kids. I haven't!! My beautiful moment is spending time with my family. I have not tried this line yet. My beautiful moment is spending time with family friends and pets. I have not yet tried this line. My beautiful moment is snuggling in bed with my kids. Elle - you look so amazingly happy and gorgeous in those photos. Who needs makeup?! I haven't tried this line before. My beautiful moments are getting hugs and kisses from my kids. I've never tried these products nor has my wife. My beautiful moments are those spent with my kids, whether we are playing catch, baking a cake or watching a movie. I haven't tried these yet, but I would love too. My beautiful moment is every morning when my boys wake up and snuggle me. No, I haven't tried the line before but I'm interested in finding them in-store. My best beauty moment was on my Honeymoon, I feel like I had quite a few good beauty days and I was in my best shape ever lol. I have not tried this line of products yet. My beautiful moments are time spent with my grandsons. I've tried this before and really love it! Reaching my goal weight made me feel beautiful! My beautiful moment is spending time with my family. I have not tried this line. My beautiful moments happen when I lose myself in the moment of an ordinary day that is truly special. I just bought their honey scented hydrating mask. It smells divine! That in itself is a beautiful moment! 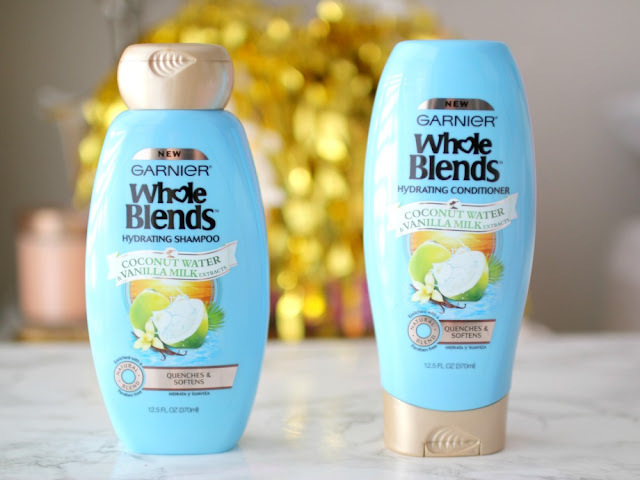 I love Garnier but I haven't tried the Whole Blends. I did try a sample of the Repairing Shampoo Honey Treasures and really liked it and want to try the Refreshing Shampoo with Green Apple & Green Tea extracts and the Hydrating 2-in-1 Shampoo with Coconut Water & Vanilla Milk extracts next. I have never tried this line of shampoo before but I would definitely try the color care one. Going to the movies with my daughter. I have not tried this line. My life's beautiful moments is playing at the park with my son. I haven't tried this line yet but I certainly plan to. The hydrating formula with coconut water and vanilla milk extracts sounds like just what I need. I love yous from my grandsons. I have tried this line but did not like it. It is a step in the right direction for this conventional brand but they have a long way to go before it will be a brand for me. Not being a troll. Just being honest. I hope that is ok. My beautiful moment happened just now. I looked outside to see a female Baltimore Oriole on my feeder. Simply gorgeous! I haven't tried it yet,I have seen this product before and may get it soon. My moment is spending time with my kids outside playing. I haven't used this line yet. My beautiful moment was special mention on FB for my volunteer work!